Research in my laboratory addresses the mechanisms of intermediate-level vision. We are concerned with the perceptual issues surrounding the creation, selection, and maintenence of visual object representations. These mechanisms include perceptual organization, visual attention, and certain aspects of object recognition. 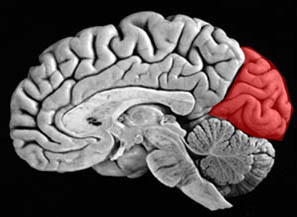 The methods we use to investigate these mechanisms include the measurement of response time and accuracy using the techniques of psychophysics and experimental psychology, and measurements of human brain activity patterns using functional magnetic resonance imaging (fMRI) in the F. M. Kirby Research Center for Functional Brain Imaging. Several current projects are concerned with the mechanisms of object-based visual selection. Although it is clear that visual attention can be directed overtly via eye movements or covertly via deployments of attention to locations in space, much evidence has accumulated that visual attention can also operate on representations of perceptual objects as distinct from their locations. Our commerce with the world involves reaching for objects, not spatial locations, so it is hardly suprising that the visual system should be optimized for selecting relevant or salient objects. Our experiments have examined the extent to which the deployment of attention to part of an object causes other parts of that object to also be selected in preference to other locations that are equally distant from the attended location. 5 pairs of subvolumes are available in ANALYZE (7.5) format.